The Solidando Film Festival will be held from 13th to 15th December 2019 in the city of Cagliari in Italy. It is a NO-PROFIT international competitive festival of social short films for the following genres: documentary, fiction or animation exclusively on social themes. we look for big or small stories that blow our minds. Each glance is itself a way to see the world that deserves to be shared. All submited films will be considered by the Artistic Committee who will choose the ones which will be screened at the festival and will partecipate at the final competition. The jury will include professionals from the filmmaking world, television, media and teaching. The judges decision will be irrevocable. By submitting to the Festival you confirm that you own the rights of the film and you agree to allow your project to be shown in the Solidando Film Festival. Your name and information about your project and some part of your film may be used for promotion wihtout any commercial purpose. 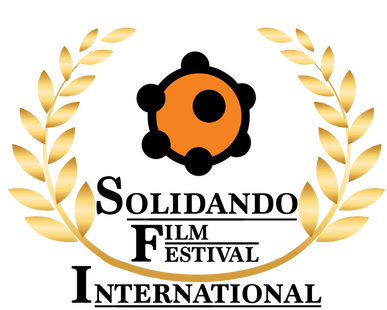 The filmmaker holds the Solidando Film Festival, its management, juries, subsidiaries, agents, sponsors, affiliates, and etc. harmless from any and all claims of liability resulting from entry. The filmmaker certifies to have full rights. Authors or Producer will indemnify the organisers of the Festival against all claims, demands, costs, damages, expenses (including legal fees), proceedings and losses resulting from the screening of the film at the Festival or from claims by any third parties. The festival management declare that any personal data provided will be used in accordance with Legislative Decree No. 196/2003 as subsequently amended and will be processed exclusively for the purposes of the Festival.